In the continued quest for increased economic benefits from our water resources, numerous structures and operating policies for controlling the river flow have been built and implemented. These structures and associated operating policies can facilitate navigation; they can provide greater quantities of reliable water supplies to meet agricultural, industrial and municipal water demands; they can generate hydroelectric power and energy; and they can provide increased flood protection, recreation, and other benefits. Over the past half-century we have converted many of our rivers into engineered waterways. These straightened, often periodically dredged, engineered rivers are complete with dikes, reservoirs, weirs, and diversion canals. All this engineering has enhanced economic development. However, as rivers and their floodplains become stressed from the excessive use and misuse of their resources, their contribution to economic development can be threatened. 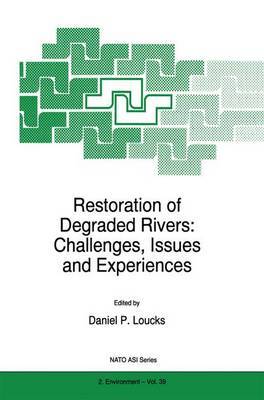 Evidence of economic and ecological degradation, especially in relatively large river systems such as the Danube, the Mississippi, the Rhine, and the Volga, has increased our appreciation of beneficial roles natural aquatic and terrestrial ecosystems play in water quantity and quality management. We have recognized the need to pay more attention to letting nature help us regulate water quantity and quality rather than working against nature and its variabilities and uncertainties. Today there are efforts underway in many developed river basins to 'de- engineer' or return these straightened and controlled rivers to a more natural state.